Looks like Oprah wins the bet (I don't think anyone doubted she would). Oprah and Piers Morgan famously placed a bet as to who would land Michael Vick as a guest first and of course the 'Queen of all Media' won the race. CHICAGO — The NFL star whose name became synonymous with dogfighting is scheduled to be a guest on the "The Oprah Winfrey Show." 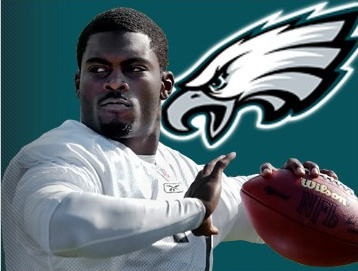 The daytime talk show host's interview with Philadelphia Eagles quarterback Michael Vick is set to air Thursday, Feb. 24. Officials with Chicago-based Harpo Productions say the interview will cover Vick's time in prison, his work with the Humane Society and his return to the NFL. Vick served 18 months in prison over a dogfighting operation based on his property in Surry County, Va. In 2007, several dogs were seized from his property. He was reinstated to the NFL for the 2009 season and has been doing public-service work, including with the Humane Society.